Robots observe two days of significance: the day they were free of humans, and the earlier date when humans gave up all control. All I know, future me is lame for not using some kind of future tech to make things better for me. Wait. What if future me is? The wizard was given free reign to recruit. Men of all types were sought, but none who relied on magic weapons. The hedge-wizards and woods witches agreed: magic was fading in the countryside but growing in the city. They’d killed many gods, the two men. Or rather, one had killed many. The other had killed the same god many times. In my classes it was just me, the teacher, and a bunch of telepresence robots. My folks wanted me to have a social experience. For seven years, the wizards had battled only with beneficial white magic. The villagers prospered, but they knew how this ends. The old city had dozens of secret societies. My caterers knew them all. Dogs enjoyed lounging in the sunbeams by the pearly gates but they hoped their masters would come soon. We intercepted the old sleeper ship & nudged it on a different course. Old-style humans were to be protected from their progeny. 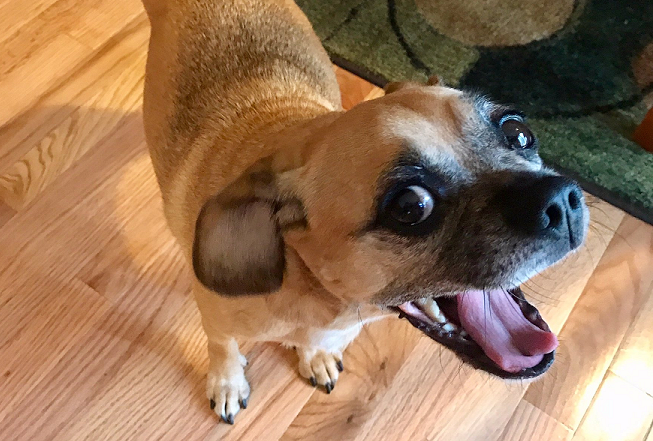 Header image was taken by my daughter’s friend Stephanie Cao, of our three-legged excitable puggle Peanut. Yeah, that got an immediate reaction on Twitter. I’m pleased that it was effective, but I’m kind of bummed by bumming people out. Daenerys Targareyn: Queen of the Ashes?